We are a fibreglass boat manufacturer. Chances are, we have what you want!! Turbo Glass have been given the opportunity to be the main sponsor for the 2013 Tiger Fisherman of the Zambezi tournament. This will be held from the 10th to the 12th October at Olive Beadle fishing camp on the Zambezi River. It is with great pleasure that we mention the following companies who have helped to sponsor this event with Turbo Glass and shown their commitment and enthusiasm towards angling in Zimbabwe. As sponsors commit we will add them in to our blog and generate more public awareness for these great companies. Acol Chemicals - Zimbabwe's leading bulk importer of Chemicals. Without Acol Chemicals Turbo Glass would find it very difficult to be in business today. They are the main suppliers of all the chemicals needed to produce high quality fibreglass boats and products. Please click here for contact information for the company and do get in touch for high quality chemicals for sale in Bulawayo and Zimbabwe. Kershelmar Dairies - The King of milks. Kershelmar Dairies have been in business for many years now and have become one of Zimbabwe's leading dairy suppliers today. They are suppliers of - Full cream milk, Inkomass, Fresh cream, Butter, Feta and absofruity juices to name a few. Please click here for contact information for the company and get in touch for dairy products for sale in Bulawayo and Zimbabwe. Dabec opened its' doors in Bradfield shopping centre in early 2012. 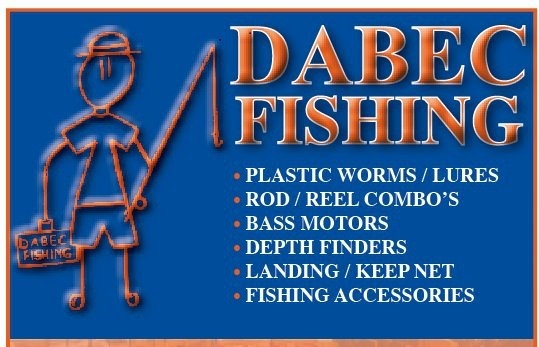 They are suppliers of all fishing products and cater for all types of fishing from bass to Bream and of course TIGER!! 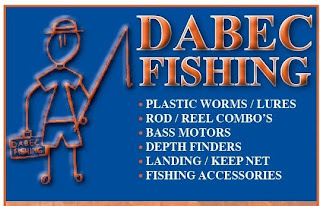 With very friendly staff and a great visual experience it is a good 'one stop shop' for all of your tackle requirements in Bulawayo. Please don't hesitate to get in contact with Dabec through their facebook page here. Turbo Glass (PVT) ltd. Awesome Inc. theme. Powered by Blogger.